Coney Island of New York City was once known as the ‘World’s Playground’. However, the place is not what it used to be, and the area has stayed for years as a shadow of its former glory. This great documentary by JL Aronson focuses on the people involved in most significant renovation plan ever to take place on Coney Island. At present, suffering from a desperate need of housing, the residents of Coney Island have been divided into two categories. Some are fighting for redevelopment while some others are struggling to maintain its glorious past. All the other locals are feeling trapped in between. JL Aronson shows these complex emotions beautifully in his documentary “Last Summer At Coney Island”. 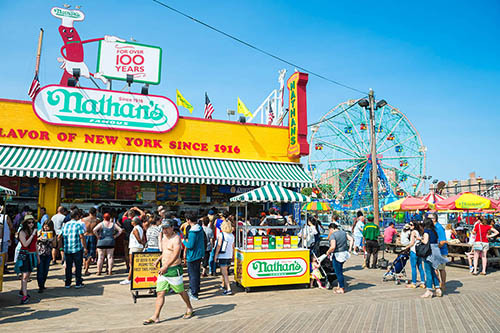 The best hotdogs in the world, the epic waterfront park and the popular culture enrich the magical history of Coney Island, something it is currently struggling to keep alive. The film interviews the passionate Charles Denson, the author of the book “Coney Island: Lost & Found”, and Kelly, who can’t buy Nathan’s hot dogs, but experiences immense satisfaction when opening up an arcade each day. There is the real-estate magnate Joe Sitt, a serious antagonist who has Vegas-like visions, while Astroland owner, Carol Albert, struggles to save her employees’ jobs as well as the park that her husband managed to keep alive during its most troubled time. Aronson’s documentary is a message to Brooklyn and its residents and manages to present every dilemma with grace. 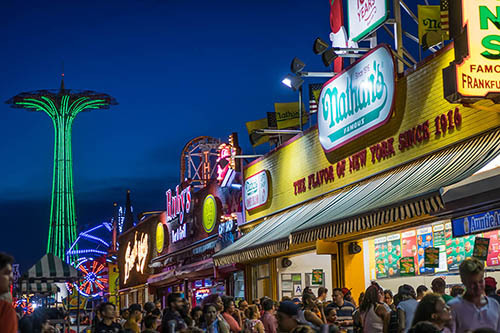 Last Summer At Coney Island is an exceptional film that captures the characters with different personalities, the area at its best and worst, and the magical history that once made Coney Island more than just another fun park. The film reflects the contrasting effects of the past and present through scenes and interviews featuring the key characters in this evolution.